Rugby is a sport without superstars, so how can the upcoming tournament offer something to brands over the next month, asks the founder of London Strategy Unit. The memory of Jonny Wilkinson doing kick ups with David Beckham for Adidas has long since faded, and Jonah Lomu doesn’t even manage a speaking part in Heineken’s latest TV ad. Current England captain Chris Robshaw (or Who? as he’s more often referred to in public) has sponsorship deals with Mastercard and BMW – as well as his own boutique coffee shop in Winchester – but you’re more likely to see him in an in-depth Guardian interview than on a glossy primetime TV ad. But international rugby still has something to offer brands. The fame factor might be lacking (and brands looking to drive their visibility should probably stay away), but the Rugby World Cup should be a fantastic month for delivering up close and personal engagement and brand experiences. Heineken, a brand used to leveraging global sponsorship deals for brand fame, is striking a different tone around the upcoming tournament. 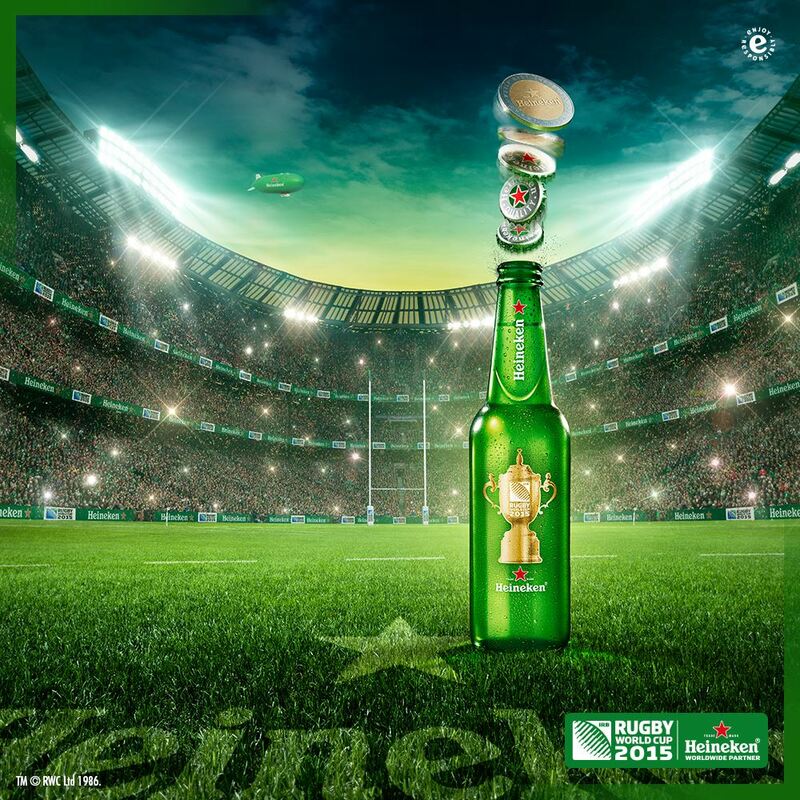 According to David Lette, Heineken brand director, "Rugby is a great sport to enjoy with a quality beer and we can also drive our 'enjoy responsibly’ message strongly around rugby. It's a fantastic platform to really engage and give people a fantastic experience." Hardly bombastic stuff. But this more personal, more values-led and fan-focused approach demonstrates what’s great about rugby – and what’s lacking at other major tournaments like the Olympics and the World Cup. At London Strategy Unit, we’ve helped Adidas activate its sponsorship of the London 2012 Olympics and reboot its global strategy in football. Both briefs presented a common challenge. People love to witness big global superstars doing their thing on a global stage, but they feel incredibly distant from them – especially when they’re young hopefuls just starting out in the game. So when Ronaldo and Usain Bolt are presented as superhuman, how do you create connection, not reverence? This distancing effect isn’t just happening in football and athletics. Cycling, golf, and cricket have all recently seen huge injections of sponsorship money and the elite forms of the game feel ever more distant from grassroots participation. As Ian Drake, chief executive of British Cycling noted (after Sky recently ended its eight-year partnership), "We set out a plan in 1997 to become the world’s top cycling nation and we achieved that in 2008. But the target was expressed in gold medals when really it should be about participation and getting more people on bikes." Stuart Maconie recently pointed out in The Telegraph that rugby divides along social strata. "League is northern and working class, union is middle class and largely southern. (Don’t bring Wales into it. It confuses matters)," he said. But despite this apparent "poshness", the Rugby World Cup doesn’t alienate potential fans with pampered playboys and instead espouses values like ‘Integrity, Passion and Solidarity’. Rather than getting drowned out in an intense battle for share of voice, brands can speak directly to much more targeted (if admittedly niche) fan bases – like EY which is conducting exclusive seminars with its client base to discuss values like leadership and teamwork and how these are applicable in the business world. In place of superstars, the Rugby World Cup puts its core values on a pedestal. As Land Rover’s UK marketing director Laura Schwab says, it’s qualities like "composure and capability" that attract brands – and fans – to rugby. 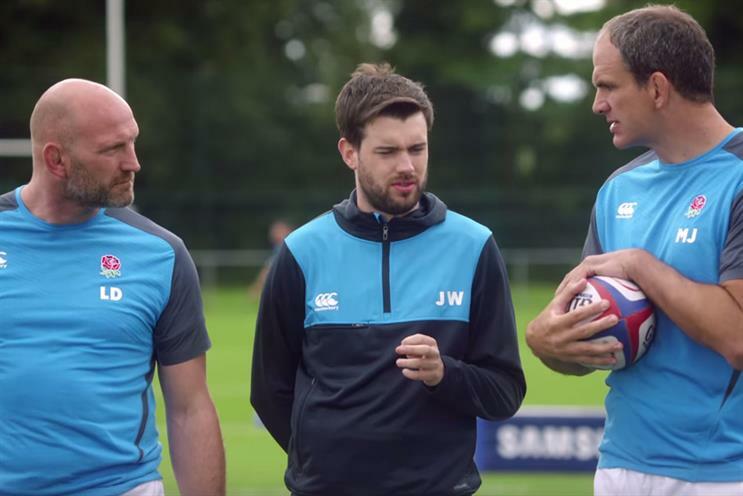 Even Samsung – which recently recruited former England greats Martin Johnson and Lawrence Dallaglio – has embraced rugby’s understated and grassroots (if slightly upper class) feel, pairing Johnson and Lawrence with Jack Whitehall to teach people about the game’s core elements in their School of Rugby. At the Rugby World Cup, global sports brands – especially those that love to indulge in hero worship – will be conspicuous by their absence. The real winners will be those brands that speak directly to fans and that neatly complement each other, rather than talking down and drowning each other out.